Gary Barlow has admitted Take That suffer from "tour depression" when they get back from a stint on the road. 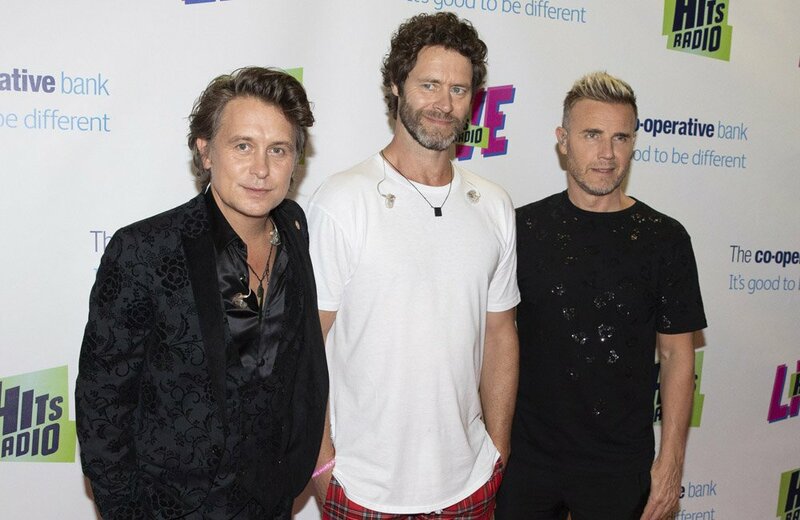 The trio - made up of Gary Barlow, Mark Owen and Howard Donald - are preparing for an upcoming series of concerts and they love the fact they have no "responsibilities" other than performing, with their every need catered for. Gary told OK! magazine: "Part of the reason we're going on tour is because we feel like we're 19 again. All the responsibilities disappear. "We have chefs and we get really looked after - it's like being in the best mobile hotel. We all have tour depression afterwards that lasts for days. "[We message each other], 'Ain't it horrible here? Let's get back on the road.' Having toured as long as we have, we've picked all the best people. They stay with us, they're our mates." The 48-year-old singer - who has children Daniel, 18, Emily, 16, and Daisy, 10, with wife Dawn - wishes he had "enjoyed" the band's early success more instead of worrying so much about what the future held. He admitted: "I'm not big on regrets. But I wish I'd enjoyed it more. I try and appreciate what's going on every day now because it's insane to do this, to be who I am - how dare anyone not enjoy it? "I used to worry a lot as it was new and I thought it wouldn't last forever. Now I think, why did I worry so much?" Even after so many years in the spotlight, Gary is still very ambitious and he is "grateful" as he thinks his drive helps the band maintain a fan base. He said: "I'm still ambitious. I always feel motivated and I'm grateful for that. It keeps our audience interested in what we're doing. We've got a big army of fans and they stick with us."